The cash prize bonuses will be sent on the same day as their March commission payment (separate). We hope that monthly incentive contests like this will encourage our publishers to work even harder and if these contests prove successful, you will see more of them in the future! 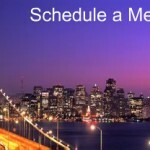 Is anyone attending Ad-Tech in San Francisco, California this April? If you’re a publisher of ours and plan on attending, let us know and we can meetup! Affiliate marketing is all about networking and this would be a great time to meet some of our publishers, face to face.